The Phoenix Fire Department remembers firefighter Rick Telles, who died of cancer recently. 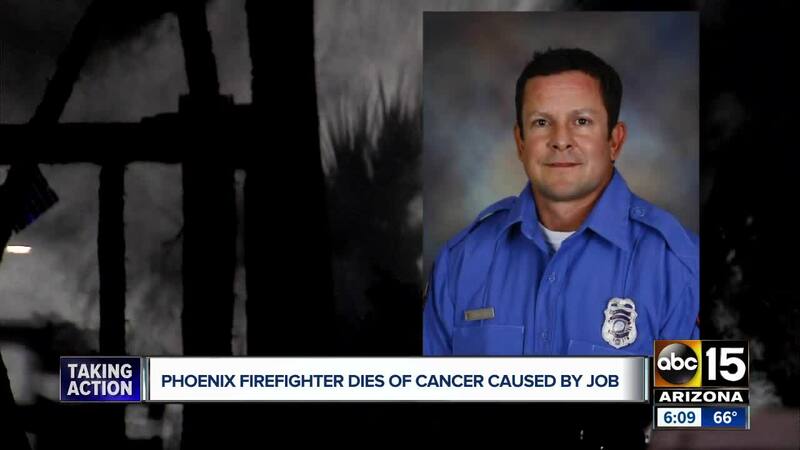 PHOENIX — The Phoenix Fire Department is mourning the loss of one of their own who passed away after battling an aggressive form of cancer. 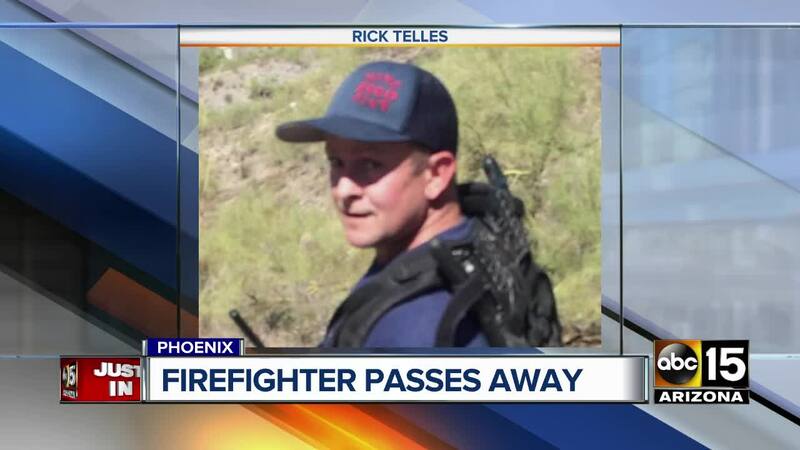 According to a statement from the United Phoenix Firefighters, Rick Telles passed away Thursday afternoon after battling an aggressive form of cancer he contracted as a result of being a firefighter. The group said Telles' passing will be considered a line of duty death, and that Telles will be honored accordingly in his memorial services, which are currently in the planning stages. "We have lost a great Firefighter and friend but are blessed by his memory which will live on each day his brothers and sisters answer the call just as passionately as he did, " the statement read. "Please keep the Telles family in your thoughts as they navigate this difficult time." "Firefighter Telles' commitment to excellence in all aspects of his profession made him an asset to the department and held him in the highest regard by his peers. Our profession is diminished in his absence." The Department says funeral services will be held on Wednesday at 10 a.m. at Christ Church of the Valley.